3D Rendering is the 3D computer graphics process of automatically converting 3D wireframe model in 2D structural images with 3D photorealistic effects or non-photorealistic rendering on a computer. 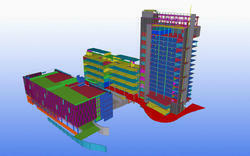 CAD Outsourcing is one of the leading engineering companies with its spot is Colorado. We have a group memebers of highly qualified in structural engineers, construction engineers and project engineers who oversee, analyze, design, plan and research structural components and structural systems. They look out mainly of technical, economic and environmental concerns. 4. Electrical scematic draftings ervices. We At SOLID VISION provides complete 2D drafting services for fabrication, manufacturing and process industries. 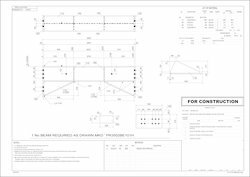 We provide complete detailed drawing as per Industry standard requirement also keeping in mind the manufacturing process, material, GD & T etc..
Furniture Layouts, Reflected Ceiling Plans . Lighting drawings, Power and Communication locations. Architectural and various other technical drawings, archive drawings, schematic diagrams and other sorts of line artwork to required vector formats which are conventionally efficient . A 2D drawing is a drawing that contains only the X and Y axis. More simply, a 2D drawing is flat and has a width, length, depth or thickness. In cad drawing, there are all views of the object with isometric views section views, and material of the object. We have an in depth knowledge in holding expertise as the leading service providers of 3D To 2D Drafting Services. With a diligent team of professionals, we are able to offer this high quality services. Our experts are chosen on the basis of their past experience and skills so that they are able to understand the client needs. Tesla-JBH CADD Services, Inc. provides high precision Mechanical Services to clients across the globe. We have a team of experienced Mechanical Engineers, Draftsmen and Modelers who work on international projects. we provide Structural Drafting and detailing services to our clients and completed good size of Residential , Industrial and Commercial projects. - Amptech possesses experienced & skilled staff in any & every kind of structural drafting including steel, concrete or wood structure. We offer following services. 2D Interior Designing - Residential and commercial interior designs drawing.